Frigid temps and two feet of snow on the ground makes venturing outside this time of year less than appealing. Playing in the snow and watching the kids scream down the sledding hill seems to help, but the cold is relentless. Piling on long underwear and sweaters can work, but there is a better solution. The GT technical base layers from Icebreaker will keep you warm and you won't have to waddle around like the Stay Puft Marshmallow Man. 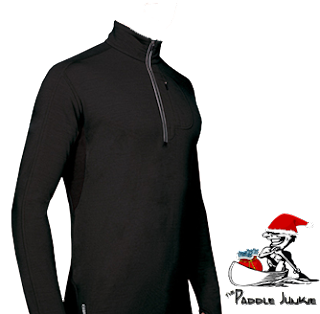 Icebreaker has perfected active use merino wool. Machine washable, moisture and odor resistant, and soft, these are not your grandpa's long-johns. Whether you are going for a run or walking the dog, these fitted tops and bottoms have been designed to minimize friction, which can't be a bad thing. Available in 4 weights, from ultralight to expedition, you are sure to find the piece that is perfect for your needs.